A perfect finish becomes reality with a lipliner that is incredibly easy to apply. Dior Contour Lipliner Pencil glides on with a precise, high-coverage line that enhances lip volume. Advantages: its integrated brush, used to blend and apply lipstick, and its sharpener. 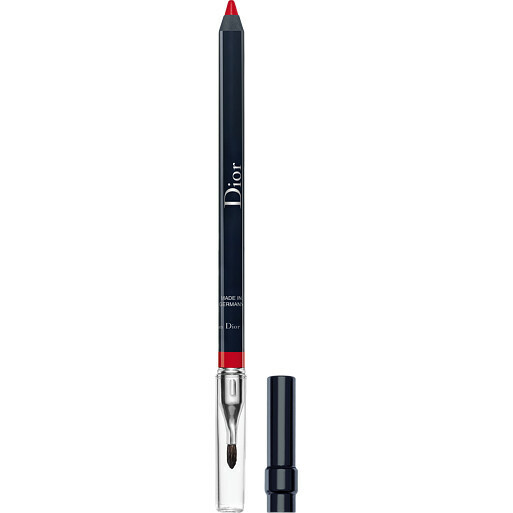 DIOR Dior Contour Lipliner Pencil - Couture Colour Precision & Hold with Brush and Sharpener is rated 5.0 out of 5 by 1. Rated 5 out of 5 by Fanofnature4 from Great Fast efficient service. Fabulous product. Will buy again.